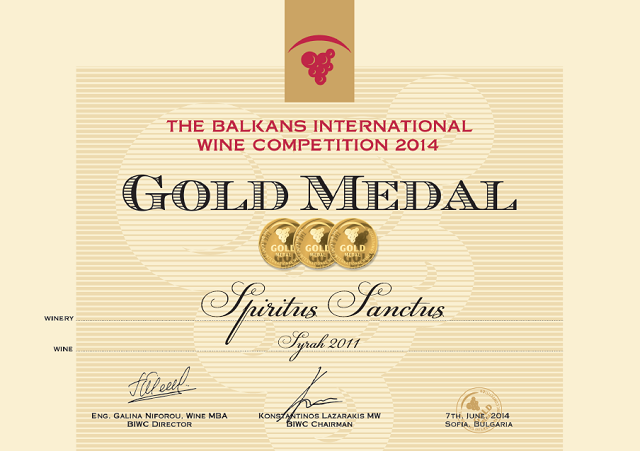 Vinaria 2013 was very successful for Spiritus Sanctus, with two of our beloved wines winning prestigious awards. 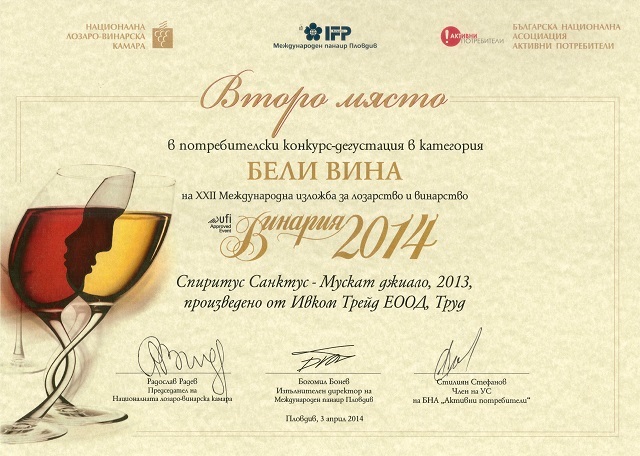 The luxury blend Sensus Ver. 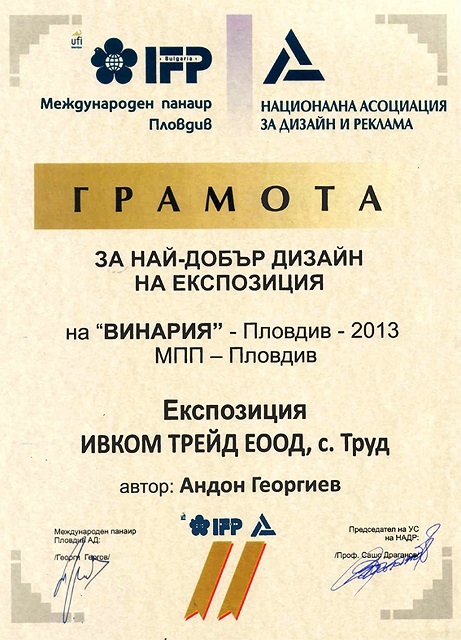 2, vintage of 2011, got a round of applause and won a gold medal. 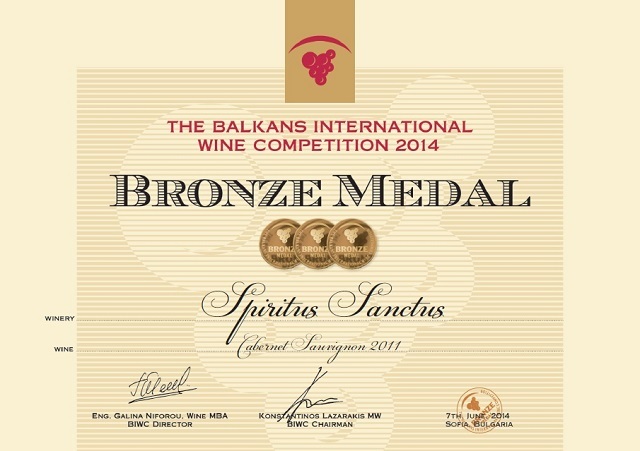 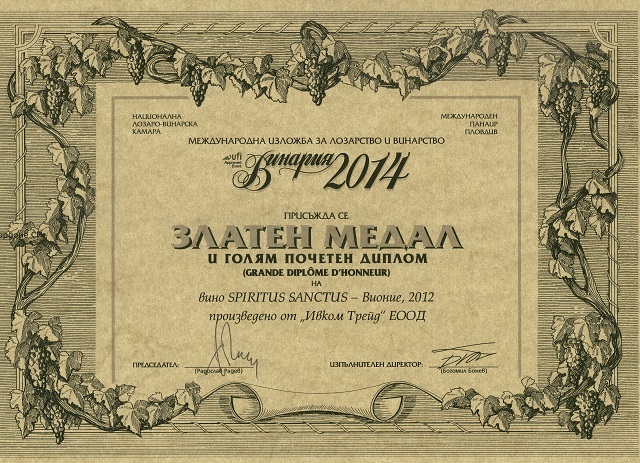 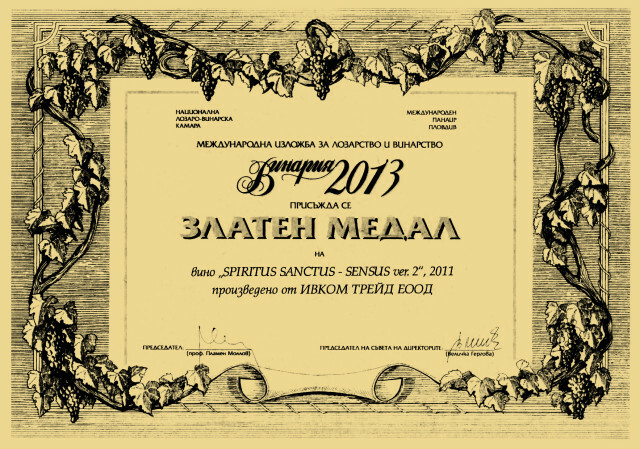 Spiritus Sanctus first Rose (vintage of 2012) also made its debut at Vinaria 2013 in Plovdiv, where it won the hearts of the jury and was awarded a special Diplome before it even reached the market.